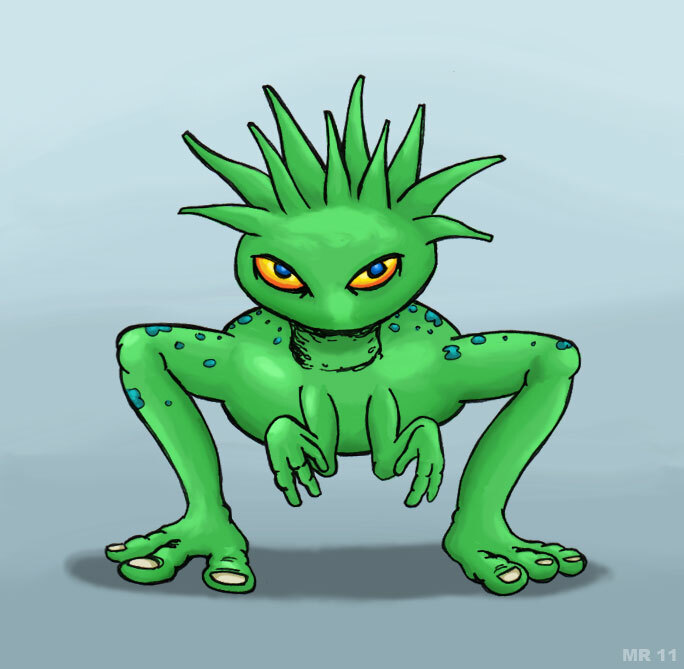 Giabolites are bowlegged amphibians. They live in large cities made up of underground tunnels and communal spawn tools. The creatures have no mouths, but use the tendrils on their heads to extract nutrients from soils and water.